HomePunky HomesteadKitchen of ChaosVegetarian & VeganA Nutritious Breakfast To Start Your Week? Eggs & Tomatoes For The Win! You don’t think you can have a delicious, nutritious breakfast with all the hustle and bustle trying to get yourself and the kids out of the house in the morning? Well, our fitness guru Kristina proves that you can! 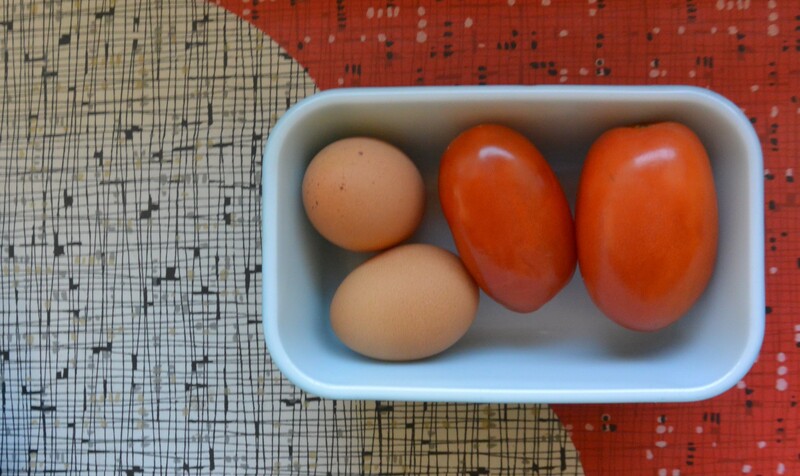 Come see her quick and easy recipe for eggs and tomatoes. She had us drooling when she posted about it the other week on Instagram that we begged her to give us the recipe! She also made us a workout mix last week that is so freaking good. Be sure to check it out! It is a perfect way to start your week. Preheat oven to 400 degrees and start making coffee. Lightly spray an oven safe glass Tupperware bowl or ramekin (I used coconut oil). Place 1/2 cup tomato sauce of your choosing (I had leftover that I made) in the glass container. 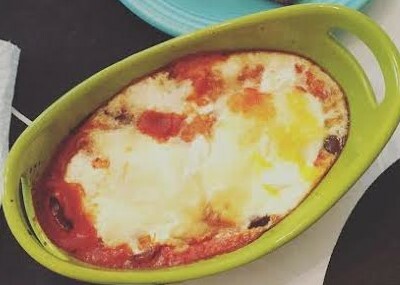 Add 2 Eggs on top of the sauce you just placed in the bowl. Put 1-2 Tbsp of cheese on top. I used Goat and a little Parmesan. Toss it in oven - pour a cup of coffee and do your thing. Take out of the oven to let cool some (IT'S HOT) and finish getting ready. I had a slice of Ezekiel toast on the side with coconut oil. I have about 45mins from when I get up to when I have to get out of the house. Here is a link to the to-go containers Kristina uses, she got hers at Target; as well as the tomato sauce recipe she recommends for this nutritious breakfast. I’m all about yummy breakfast. Bonus points if its easy!! Ohhh this sounds perfect. Simple, tasty and quick! Thanks for sharing! I made this today! Super tasty and easy. I may add some spinach next time to increase my veggie intake. yeah I think that would be a great mix!